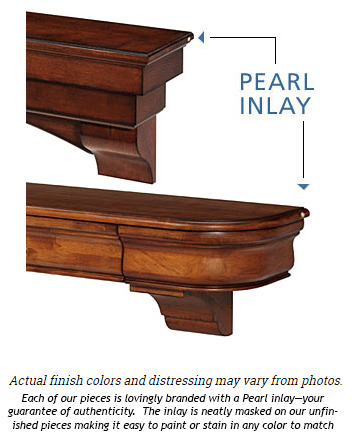 Overall Height without Corbel: 4"
Overall Height with Corbel: 13"
* Please Note: Actual finish colors may vary from photos. *Also Note: Per the manufacturer, this item is custom fabricated and cannot be returned. 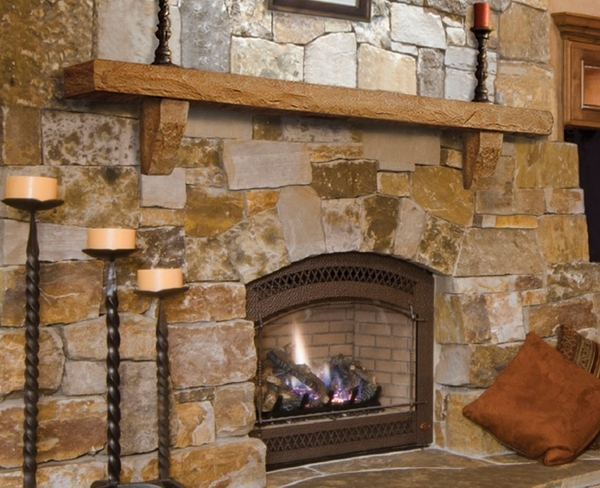 A Cast Stone Mantel by Pearl Mantels is a perfect compliment to any rustic styled room or stone surround. 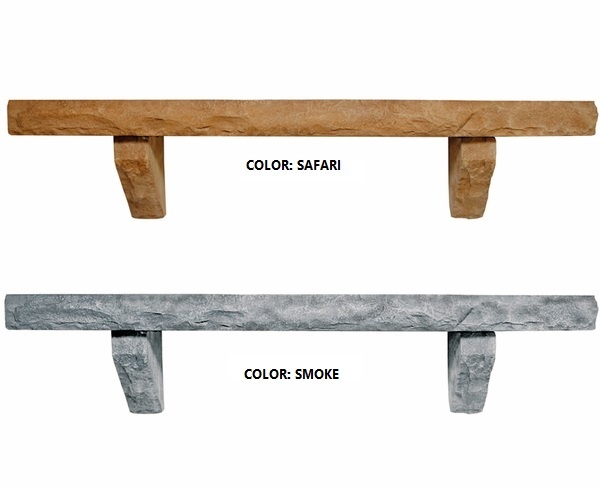 These handmade mantels are crafted to look like real stone, right down to the details, but are made from concrete, iron oxide and aggregate which are all lighter in weight. This gives you the flexibility to hang your mantel where you want it. And the corbels can be spaced as close or far a part as you want them. With two different length mantels, both with a 12 inch depth, you can have as much display or storage space as you want. It's the perfect accent to any fireplace. Is the 60" mantel weight 78# by itself or is that the combined weight of both the mantel and corbels? That is the full weight with the corbels. Is this mantel non combustible? Can this mantle be used outdoor? This may absolutely be installed in an outdoor setting. I need a rustic wood mantel that is 78" length and at least 10 " wide. Do you have any this size? No 72" is the longest we carry. Can I put this Pearl Mantel over my gas stove? Also can it fit in a v shape corner? This can indeed be placed over a gas stove, but it is not available in a corner version. Does the mantel come with mounting materials (brackets, etc), or is that something that we would have to purchase separately? If separate what would be needed to support the 72 inch mantel? We would be interested in installing on a field stone fireplace. This package does include the mounting hardware needed for installation. What is the width of the corbels for the cast stone mantel? The corbels are 4" wide. 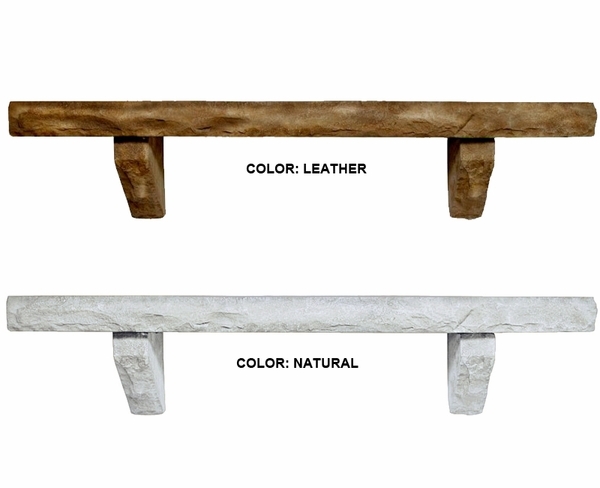 Will this Pearl Mantels Perfection cast stone mantel shelf natural stone simulation stop the heat from rising into the flat TV that we have above the fireplace? This product can indeed be used as a barrier to shield the television from rising heat. Ideally, the mantel will project at least an inch or so further from the wall than the television does. Are the corbels shown in the photo included with this Pearl Mantels Perfection cast stone mantel shelf natural stone simulation? Yes, this item is the complete mantel with the corbels as shown. Can I return this Pearl Mantels Perfection cast stone mantel shelf with natural stone simulation it if I don't like it? Per the manufacturer, this item is custom made and non-returnable. 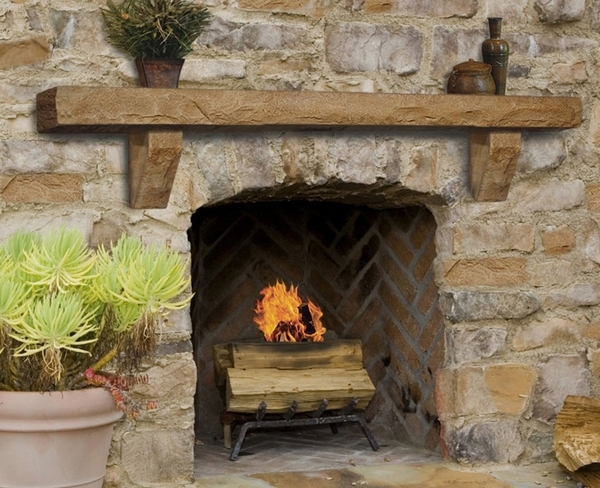 How do you attach this Pearl Mantels Perfection cast stone mantel shelf to a stone wall? If the stones are uneven, you will likely need to use shims when installing it so that it will project evenly from the stone and you will need suitable anchors. The remaining details are covered in the installation manual. Does this Pearl Mantels Perfection cast stone mantel shelf come with the mounting brackets needed to attach the corbels to the wall? Also, are lag bolts included? While the brackets will be included, the lag screws will not. You will need to purchase 4 x 3/8 x 4" lag screws (and anchors, if needed). Is this Pearl Mantels Perfection cast stone mantel fireproof? Will this mantel work on an outside fireplace and withstand the weather elements? This product can indeed be used in indoor and outdoor applications alike. How much does this mantel weigh? The 5 foot versions of this shelf weigh 78 pounds, while the 6 foot versions weigh 96 pounds. Love this mantel. It is big without overshadowing the fireplace. Looks absolutely amazing. Built very well. ConsVery Very heavy. Takes at least two people to install. This fireplace is exactly what we were looking for it is great! We simply love this fireplace. Outstanding beautiful Mantel. ProsThe pro's for this fireplace is the beauty of the stone and how well it looks in your home.